Visit the Snap Store to see more information on Plex as a Snap and install it on your machine. London, UK: 11th October 2018 – Canonical, the company behind Ubuntu, today announces Plex as a Snap, bringing the over-the-top (OTT) media service to millions of Linux users via the ever-expanding Snap Store. Plex is a top-rated streaming media company with apps and content customised to fit users’ personal preferences and needs. The Plex Media Server (PMS) combines users’ favourite content together in one convenient space, allowing them to watch and record live TV and stream videos, music, news, web shows and podcasts across any device. Downloading the application to a computer provides instant access to all owned content, organised within intuitive folders. Meanwhile, Plex’s premium version – Plex Pass – enables ‘time-shifting’ control over live TV, meaning users can pause, rewind, and fast-forward. 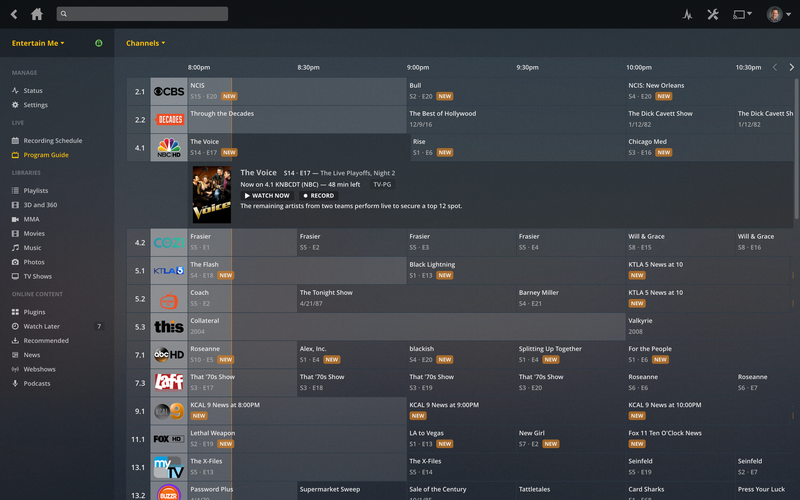 In adopting the universal Linux app packaging format, Plex will make its multimedia platform available to an ever-growing community of Linux users, including those on KDE Neon, Debian, Fedora, Manjaro, OpenSUSE, Zorin and Ubuntu. Automatic updates and rollback capabilities are staples of Snap software, meaning Plex users will always have the best and latest version running. Users who install the Snap now will benefit from a free 30 day trial of Plex Pass. Snaps are containerised software packages, designed to work perfectly and securely within any Linux environment; across desktop, the cloud, and IoT devices. Thousands of Snaps have been created since the first in 2016. Plex joins the likes of Spotify, Skype, and Slack, who have all benefited from Snaps’ automated updates, added security benefits, and rollback features, which allow applications to revert back to the previous working version in the event of a bug. Plex is available to download as a Snap by clicking here. Canonical is the company behind Ubuntu, the leading OS for cloud operations. Most public cloud workloads use Ubuntu, as do most new smart gateways, switches, self-driving cars and advanced robots. Canonical provides enterprise support and services for commercial users of Ubuntu. Established in 2004, Canonical is a privately held company. Plex is a streaming platform for personal media collections, also offering over-the-air Live TV and DVR capabilities, and curated news from more than 200 global media partners. It’s the only solution that seamlessly combines your personal collection of TV shows, movies, music, podcasts, web shows, photos, and videos alongside live and recorded TV. With a highly-customizable and easy-to-use interface, Plex is a Top 10 most-watched app with 4+ star ratings on all major OTT platforms. Our mission is to give our users the very best OTT media experience and give our partners a better way to promote their content and engage with their audiences. For more information, please visit https://plex.tv or follow @plex on Twitter or on Facebook. The post Plex arrives in Canonical’s Snap Store appeared first on Ubuntu Blog.